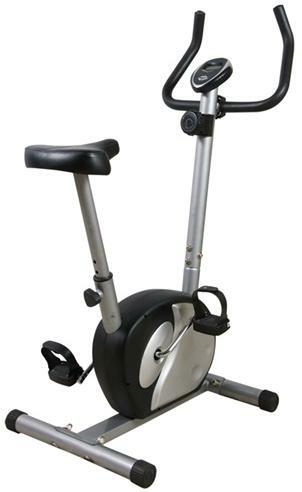 Product: Solo Sports EB-350 Upright Exercise Bicycle. The EB 350 Upright Bicycle is a great alternative to outdoor biking. 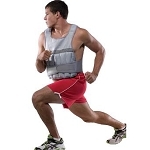 Exercise come rain, snow, and cold weather without missing a day. Cycling is a great way to build lower body strength and get the heart pumping. The EB-350 has magnetic resistance to go easy on the knees and joints. Features a fully adjustable seat as well as adjustable handlebars to accommodate all users. Use it while watching your favorite TV show, reading a book, or listening to your ipod. Some assembly required. Maximum Weight 250lbs. Assembled Dimensions: 33 inches L x 20 inches W x 46 inches H, Ships via UPS from California within 24 business hours of ordering. Signature not required. Compare with the more expensive training bikes and get comparable quality and a fraction of the cost. Great item for the price, and super free delivery -- very satisfied. Excellent transaction, highly recommended seller - Thanks! Easy to assemble and a good product for the price! A more range for tension who be better, if anything was added. Gentlemen this bike is a winner. Dimensions: 48" x 48" x 15"